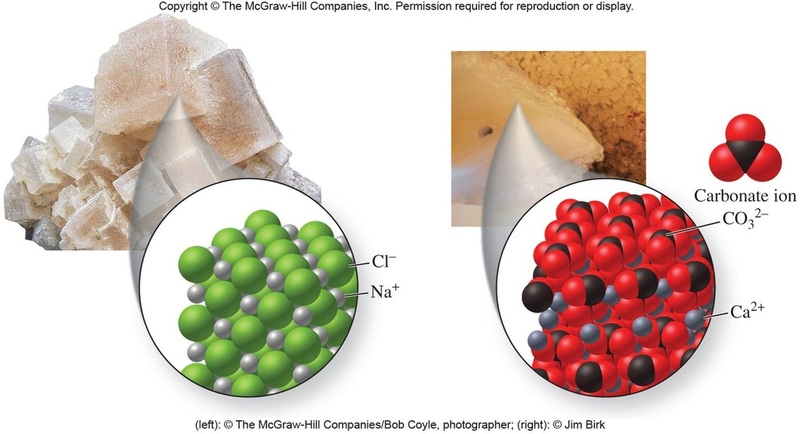 In chemistry, salts are ionic compounds that can result from the neutralization reaction of an acid and a base. They are composed of cations (positively charged ions) and anions (negative ions) so that the product is electrically neutral (without a net charge). These component ions can be inorganic such as chloride (Cl−), as well as organic such as acetate (CH3COO−) and monatomic ions such as fluoride (F−), as well as polyatomic ions such as sulfate (SO42−). All acids contain hydrogen atoms. Apart from hydrochloric acid, this is not clear from their names, but you can tell they contain hydrogen from their chemical formulae. Remember that the chemical symbol for hydrogen is H.
Acids react with most metals and a salt is produced. But unlike the reaction between acids and bases we don't get any water. Instead we get hydrogen gas. It doesn't matter which metal or acid is used, if there is a reaction we always get hydrogen gas as well as the salt. The name of a salt has two parts. The first part comes from the metal in thebase or carbonate, or the metal itself if a reactive metal like magnesium or zinc is used. There is a simple laboratory test to see if a gas is hydrogen. 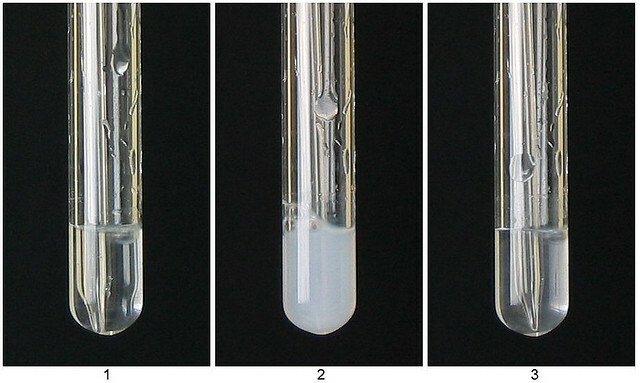 A lighted wooden splint goes pop if it is put into a test tube of hydrogen. This is because the flame ignites the hydrogen, which burns explosively to make a loud sound. Acids react with carbonates and a salt is produced. But unlike the reaction between acids and metals we don't get hydrogen. Instead we get carbon dioxide gas & water. The reaction fizzes as bubbles of carbon dioxide are given off. This is easy to remember because we see the word 'carbonate' in the chemical names. 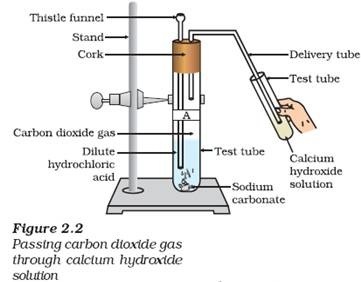 Lime water (1), a dilute solution of calcium hydroxide, turns 'milky' when carbon dioxide is bubbled through it (2), forming a suspension of calcium carbonate. When more carbon dioxide is bubbled through it, the carbonate dissolves to form dilute solution of calcium bicarbonate (3). This reaction serves as a test for carbon dioxide. Bromthymol blue is an indicator used to show the presence of either carbon dioxide in solution or an acidic solution. Carbon dioxide or acid will result in the bromthymol solution taking on a yellow tint. Frequently this indicator is used in biology labs to indicate respiratory activity (solution turns yellow as CO2 is added to the solution).